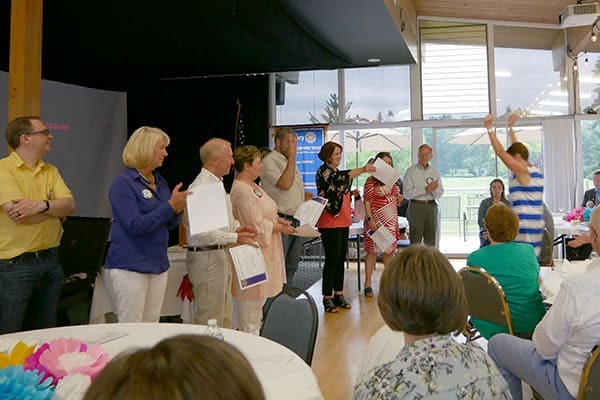 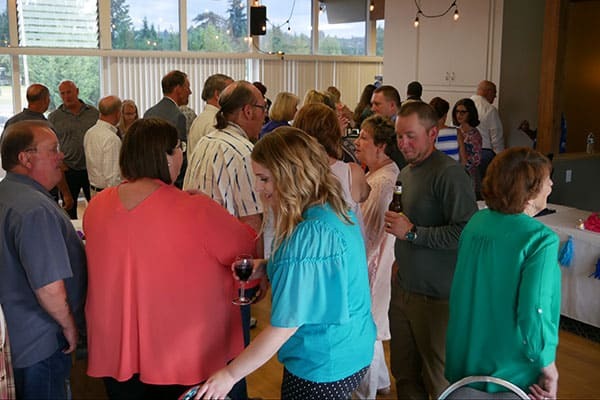 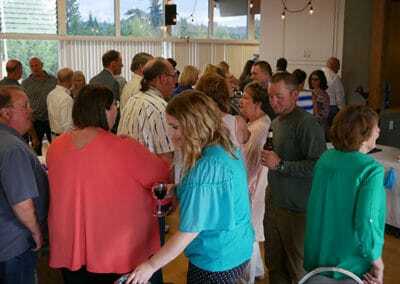 The 2018-19 Board was installed at the June 28 Club Installation Dinner held at the Linden Golf and Country Club in Puyallup. 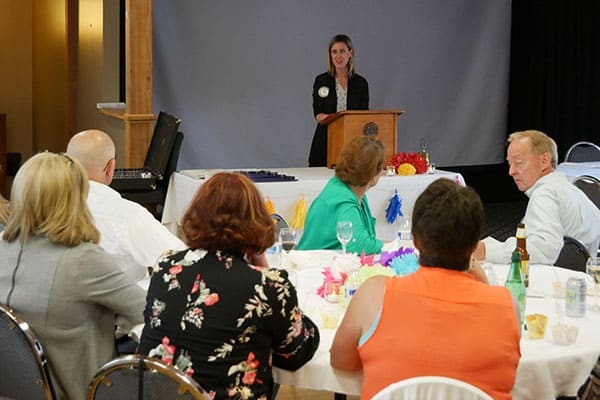 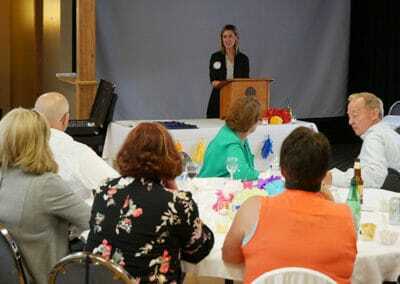 President Jessica Witte reviewed her year as president citing many club accomplishments. 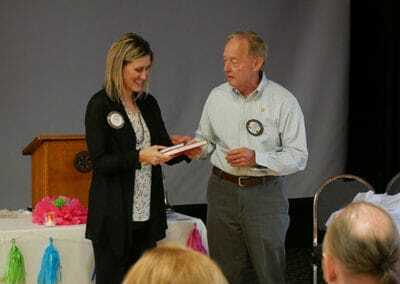 She expressed appreciation to all Club members for their commitment and support over the year. 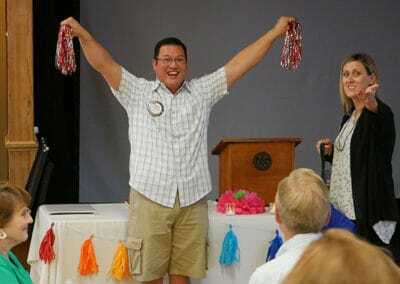 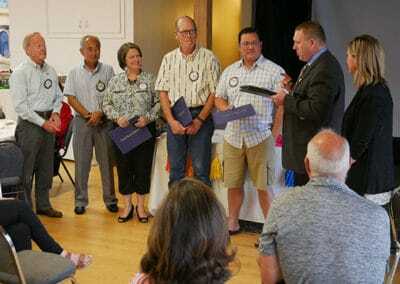 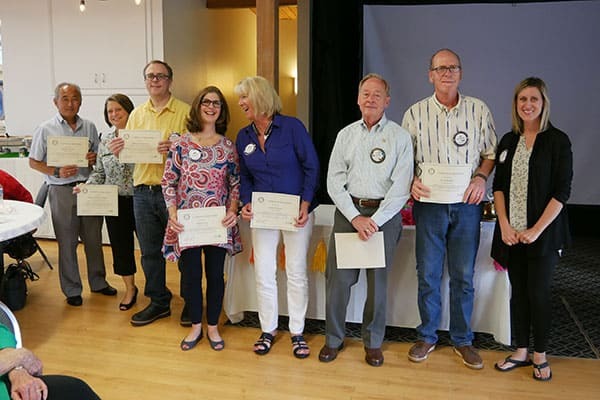 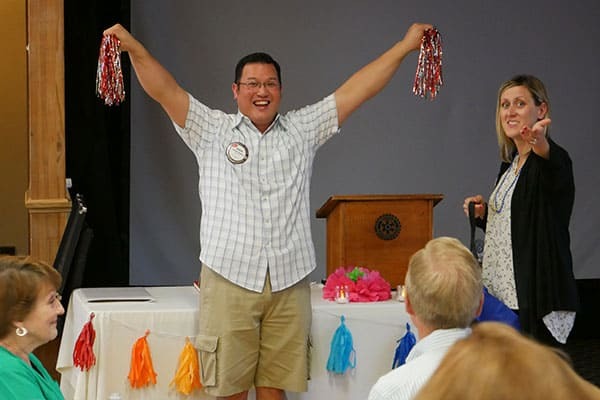 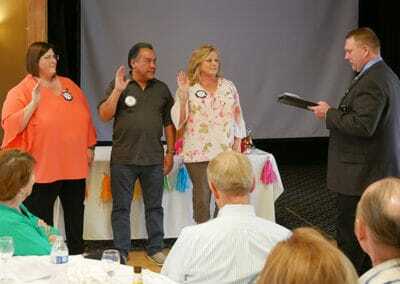 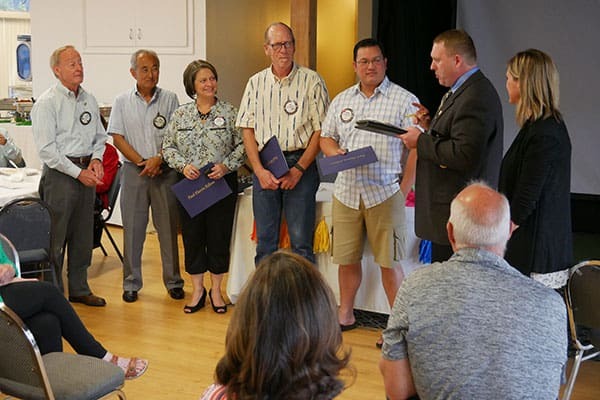 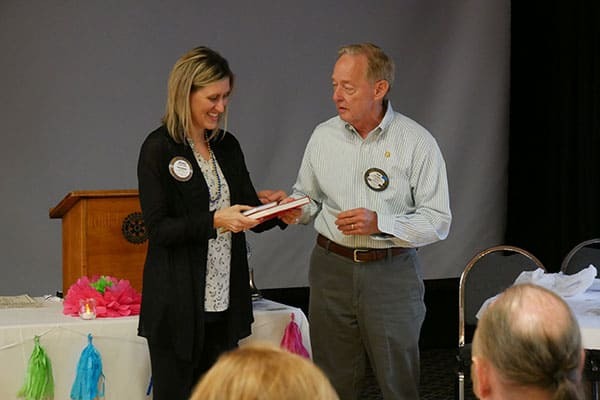 President Jessica recognized three members for their work and dedication to Rotary. 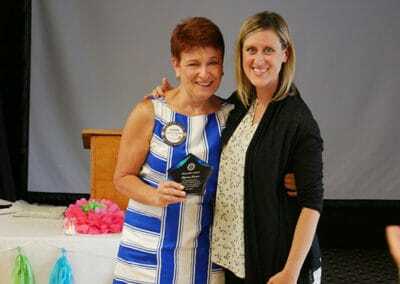 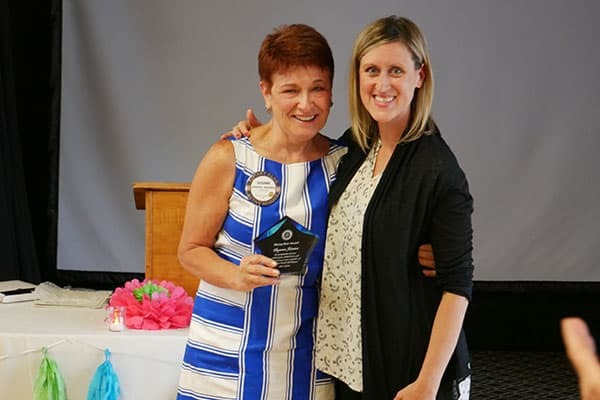 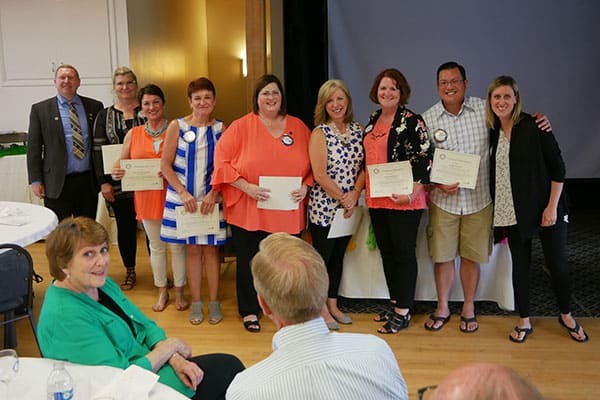 Karen Hansen was named 2018 Rotarian of the Year and Suzanne Johnston was honored with the Rising Star Award. 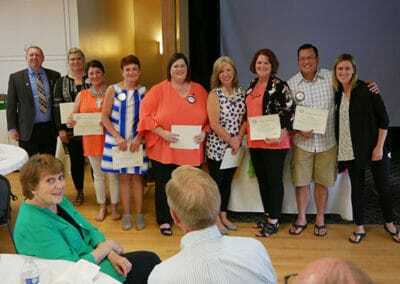 Twenty-four club members with perfect attendance were also recognized. 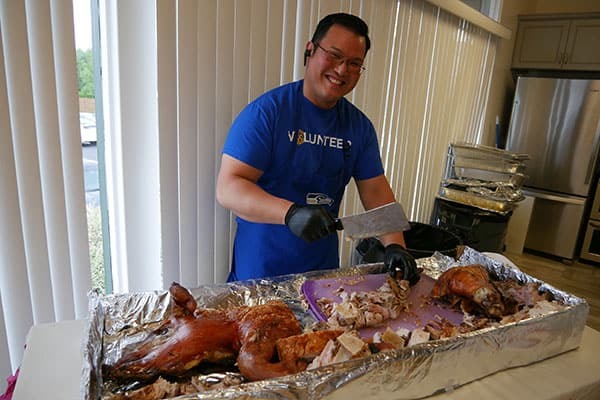 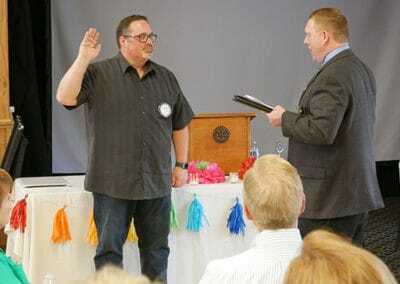 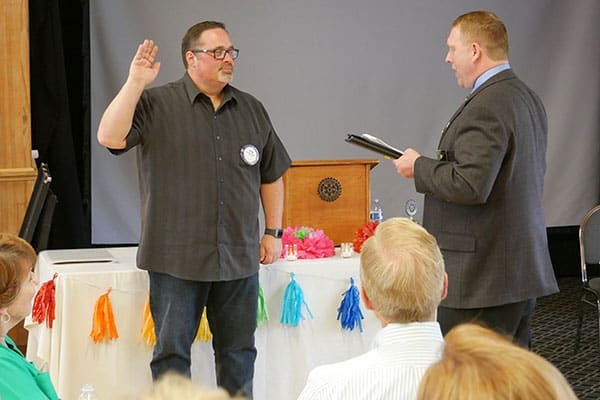 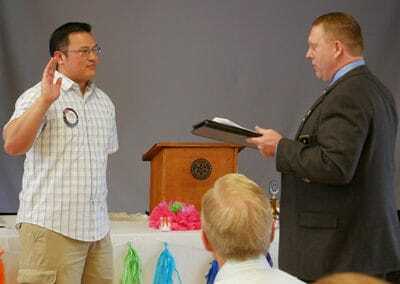 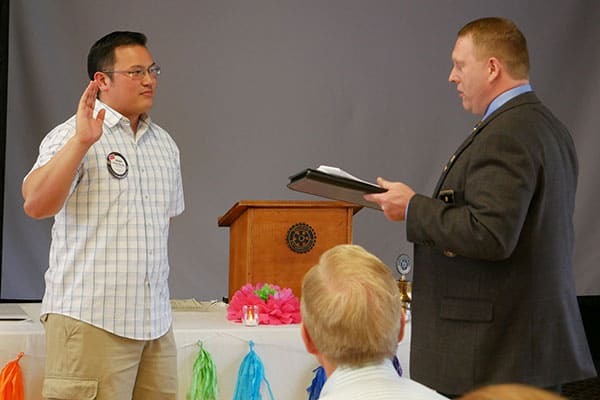 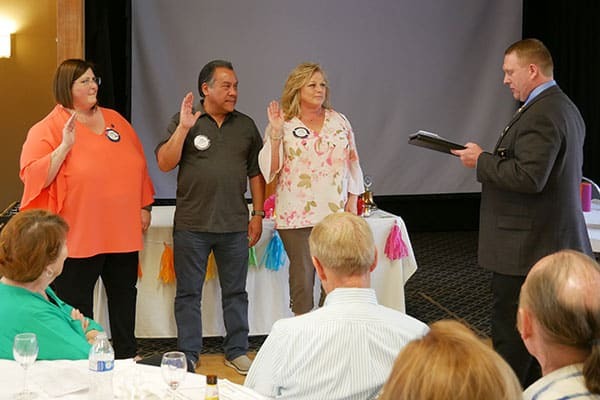 Joseph Romero was then installed as 2018-2019 Club President followed by the installation of the Board. 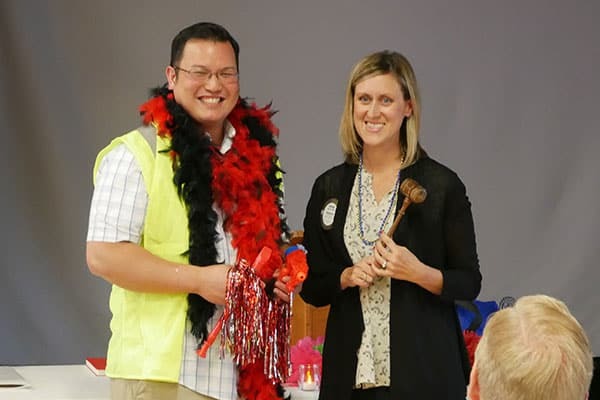 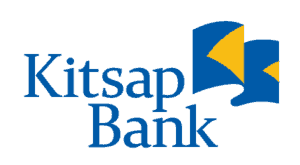 Officers for the 2018-2019 year include: Joseph Romero, President; Janet Olson, Correspondence Secretary; Doug Olmstead, Recording Secretary; Steve Martinez, Financial Reporting Treasurer; Kellie Monette-Chapman, Banking Treasurer; Kevin Bates, President-Elect, and Jessica Witte, Past President. 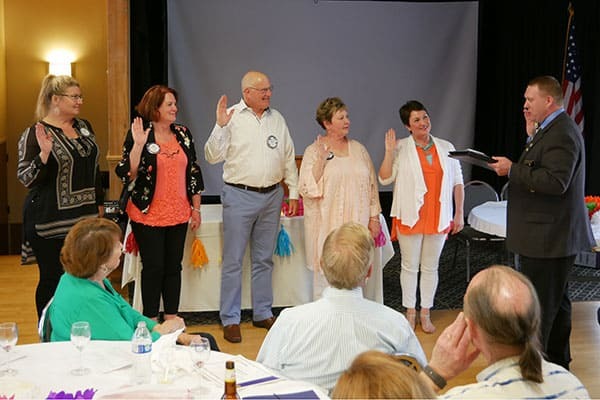 The following were installed as Board members: Karen Hansen, Club Administration Chair, Rosella Sims, Club Service Chair; Ed Pullen, Rotary Foundation Chair; Tammy Montevideo, Membership Chair; Patty Summers, Public Relations Chair; Jeff Lieurance, District/RI Affairs Chair; and Trish Cole, Youth Protection Officer. 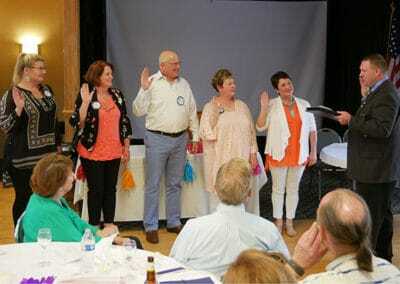 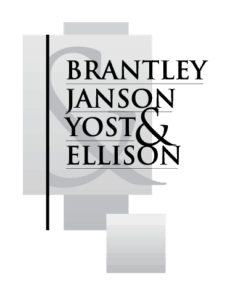 The new Board began their work on July 1.